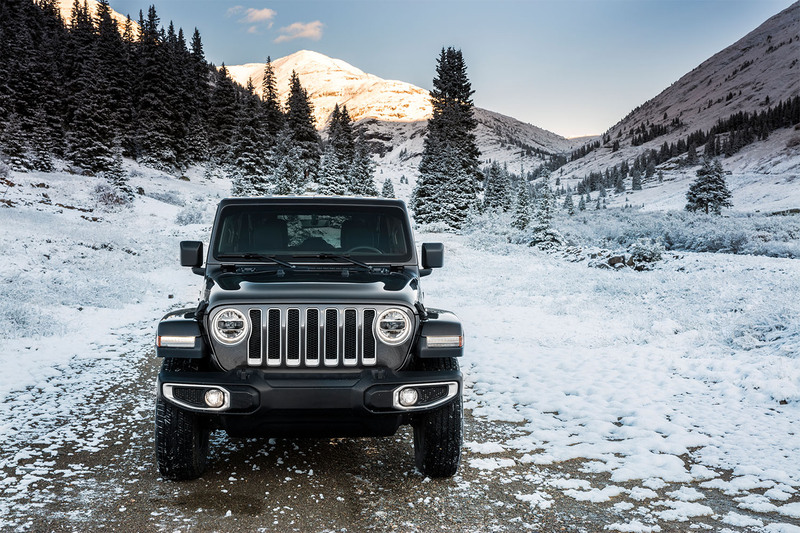 If you're looking to learn more about the Jeep 4x4 system, then come into Wegner Auto Chrysler Dodge Jeep Ram Company in Pierre, South Dakota. The Jeep 4x4 system was designed and tested on some of the toughest roads we could find. This means that you can have peace of mind on your next adventure and trust that your Jeep model is going to get you where you need to go without breaking down or wearing out. The Jeep 4x4 system can handle anything, including snow and ice, muddy roads, potholes, mud, and water. With a high air intake and sealed electrical circuits, the Jeep 4x4 system is a must for serious adventurers. Come into Wegner Auto CDJR Company in Pierre, SD today to learn more about the Jeep 4x4 system. At Wegner Auto Chrysler Dodge Jeep Ram Company, we have the full lineup of Jeep models for you to choose from. We offer the Jeep Wrangler, arguably the most iconic Jeep model on the market today. With instantly recognizable style and enough power to handle any road, the Jeep 4x4 system is a perfect compliment to this Jeep model. We also have the ever-popular Jeep Grand Cherokee. This Jeep SUV is perfect for customers that want the same Jeep power with an updated design aesthetic. Finally, we also have the Jeep Compass. This Jeep model is well-balanced and provides both power and luxury without breaking the bank. Whatever you need, come into Wegner Auto CDJR Company in Pierre, SD today to find the Jeep SUV of your dreams! You will find a one-stop shopping experience for all of your Jeep needs at Wegner Auto CDJR Company. Be sure to call or visit our Pierre, SD Jeep dealership about the Jeep 4x4 system and how it can take your ride to the next level. We look forward to answering any questions you may have.